The foundational principle of investment management at CLS is risk budgeting. Unlike other investment managers, our process considers risk first, and asset allocations second. It’s a disciplined approach that ensures our portfolios meet investors’ expectations and keeps them on track. First, keeping a consistent risk profile helps control allocation to assets that have the potential to create large swings in an account. Second, keeping those swings in check makes investing a lot easier to stomach for many clients, which keeps them invested. Staying invested is perhaps the most important determinate of investment success. 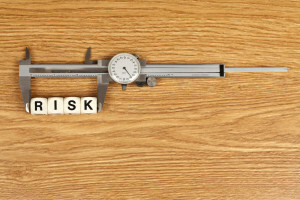 So, how do you maintain a consistent risk profile? Well, for us, it’s simple. We measure it. 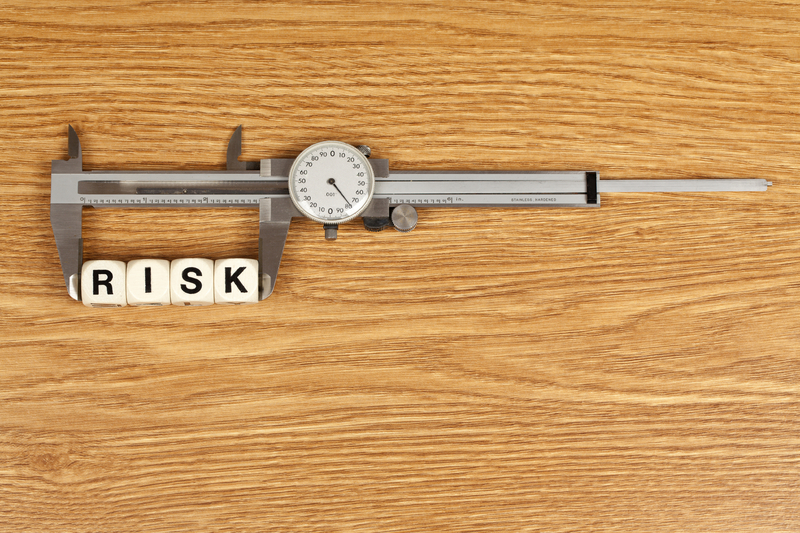 At CLS, we combine various risk metrics, both short- and long-term in their measurement periods, to come to a risk budget score that we rigorously test and modify as needed to make it as accurate as possible. A score is calculated for every asset we invest in, and we aggregate that up to a portfolio level to hit the client’s risk budget score. We also track the risk budget of the portfolio’s returns as a whole. When risk gets out of line, we reign it back in. Risk budgeting leads to fewer fluctuations in client’s risk, and more consistent account performance. 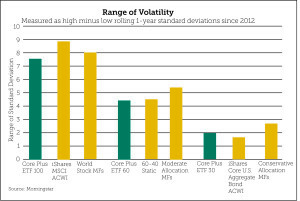 As the chart shows below, the range of absolute volatility in risk budgeted portfolios is lower than various asset classes and traditional mutual fund categories. What that means is a 100 RB portfolio will take on 100% of the risk of a diversified equity benchmark, which is a moving target as market risk goes up and down. However, the risk of our portfolios fluctuates less because we are measuring and managing risk. This creates our classic advantage versus a stock-to-bond ratio as the risk of stocks and bonds changes over time, changing the risk of the entire portfolio. Managing risk is one of the most important aspects of investing, and many investors neglect it altogether. At CLS, we believe proper risk management leads to better investor outcomes. The views expressed herein are exclusively those of CLS Investments, LLC, and are not meant as investment advice and are subject to change. This information is prepared for general information only. It does not have regard to the specific investment objectives, financial situation and the particular needs of any specific person who may receive this report. You should seek financial advice regarding the appropriateness of investing in any security or investment strategy discussed or recom­mended in this report and should understand that statements regarding fu­ture prospects may not be realized. You should note that security values may fluctuate and that each security’s price or value may rise or fall. Accordingly, investors may receive back less than originally invested. Past performance is not a guide to future performance. Investing in any security involves certain systematic risks including, but not limited to, market risk, interest-rate risk, inflation risk, and event risk. These risks are in addition to any unsystematic risks associated with particular investment styles or strategies.